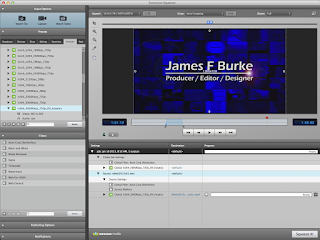 The video encoding interface in Sorenson Squeeze. Last September in a blog entitled "What Format is Your Video Sample Reel? ', I wrote about uploading your videos in their native format to YouTube for the best quality presentation. But in some cases, that may not be an option and you have to encode the video on your own. How do you go about getting the best quality video encodes? This week we'll discuss the general steps needed to get the best quality out of your video encodes. 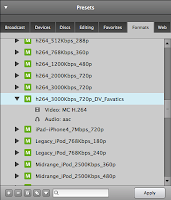 When we discussed Encoding Video for Web Deployment and Archive, we spoke of the general rules for encoding - who is your audience and how are they viewing it. This week we'll go over some of the best practices for getting the most out of your video encoding software. There are many tools out there for encoding videos. I use Sorenson Squeeze and Apple Compressor on a regular basis and sometimes Adobe Media Encoder. Each allow you to manually adjust your setting for the best quality output. 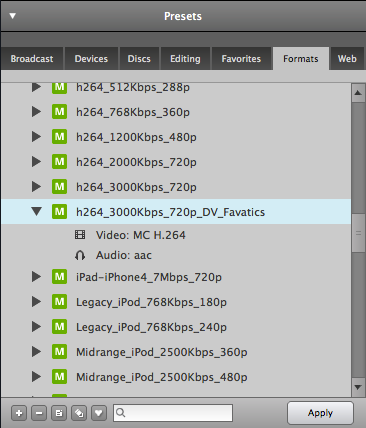 When encoding video for the web, the trick is to maximize quality while minimizing file size or data-rate (obviously enough). The presets pane in Squeeze. I will always use one of the presets in the encoding software as a starting point. Choose a preset that is the proper dimensions and codec that you plan to use. Once you have found a preset that meets your needs, duplicate that preset and give it a name that identifies what the encode is being used for. For instance, if I was encoding a video for the DV Fanatics blog, I would add "DV Fanatics" to the setting name. 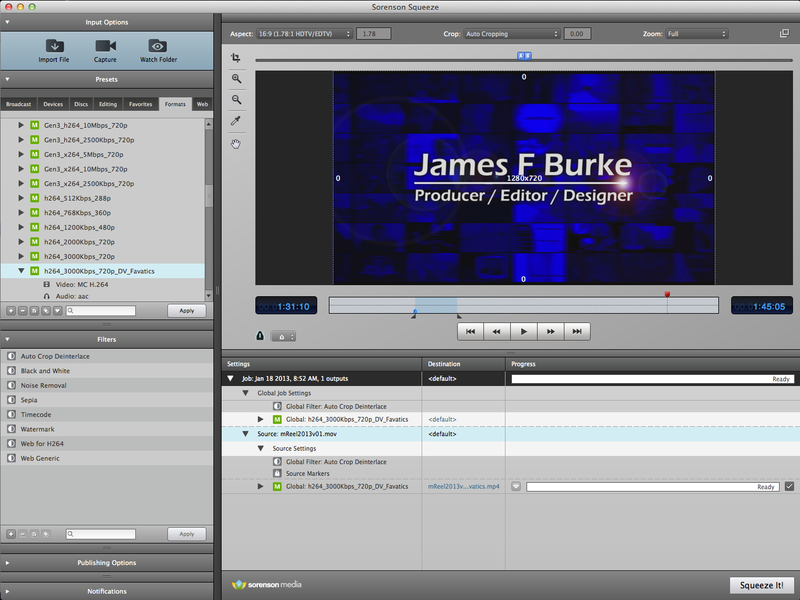 The trick is to make sure the encode setting looks great for the current video you are encoding. Always start by marking a short section of your video and running test encodes on that. Make sure the section of video is representative of the whole, and if possible, try and use a section that has some complexity in it. Complexity in the frame (intra-frame) and complexity of action between frames (inter-frame). After each test encode, check out the quality of the video and tweak the parameters in your setting that will effect the quality of the test encode. Once the setting produces an encode that is to your liking, save the setting and encode your full video. Keep in mind it is always a good idea to watch the encode in its entirety before sending it to its final destination. With Sorenson Squeeze, is possible to transcode h.264 (5D MKII footage) to Apple ProRes 422? I haven't tried h.264 that has come from a Canon 5D Mark II, but Sorenson will encode h.264 to Apple ProRes 422.